Mr. Squirrel Knows What To Do In Order To Stay Dry! 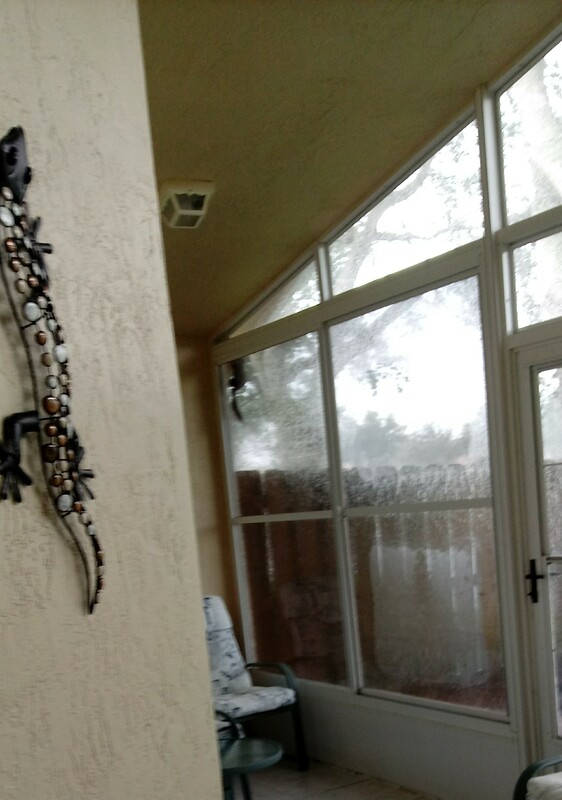 I walked out onto my patio to watch the rain and noticed someone found a way to stay dry. Clinging to the screen under the overhang.